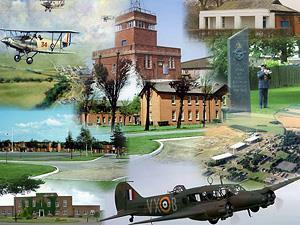 The RAF Bircham Newton Heritage Centre has been equipped with donated RAF memorabilia, such as photographs, maps, squadron shields, medals, aircraft models, paintings, drawings and written historical records from Bircham Newton's past. The Heritage Centre is housed in a building generously provided by the Construction Industry Training Board (CITB). It is situated within the campus of the National Construction College East (NCC) at Bircham Newton, near King's Lynn, Norfolk PE31 6RH.